Montezuma Oropendolas live in colonies and are polygynous breeders, meaning that one male mates with many females. The dominant oropendola will father most of the young in a colony that can have over 100 nests. 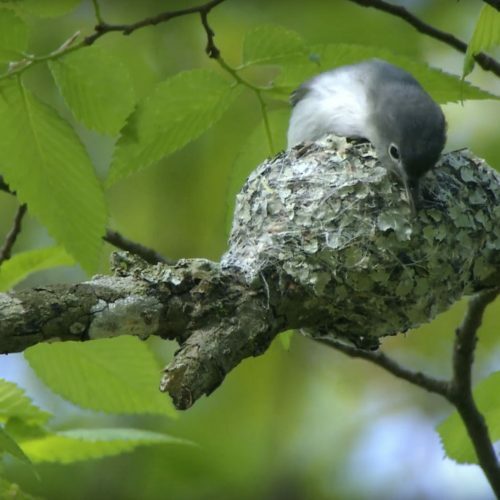 Females build these nests, which may hang three feet or more below the branch. It is thought that this long, deep shape protects the young from predators and prevents eggs from falling out of the nest in heavy wind.